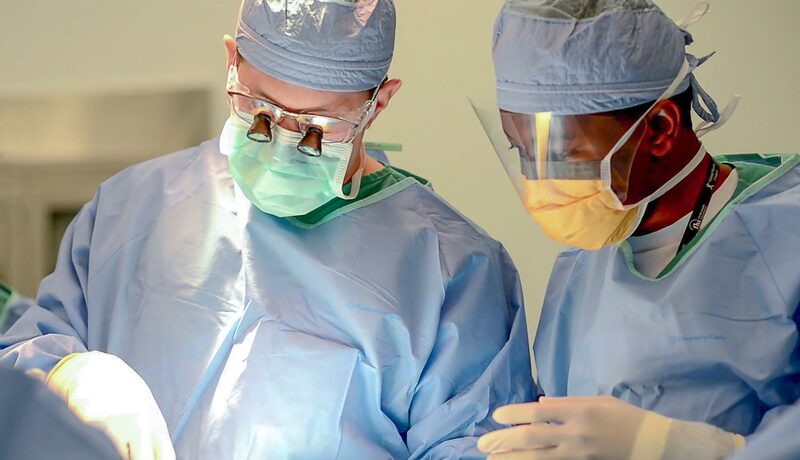 Join the rapidly growing field of surgical assisting with a degree from EVMS in the only master's level SA program of its kind in the country. 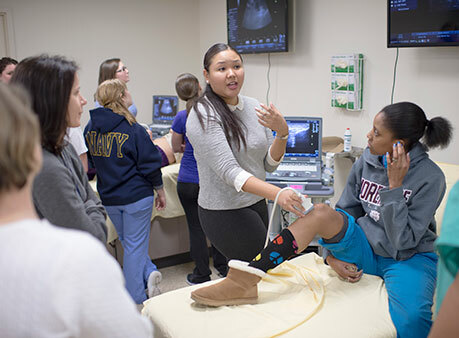 EVMS' program is the fastest pathway for individuals with a four-year degree or higher with no medical training to enter this specialized medical field. For more than 20 years, our students have achieved a 100% pass rate on certification exams. All EVMS Surgical Assisting students have job offers prior to graduation. Our average student completes more than three times the number of cases required by the accreditation body. 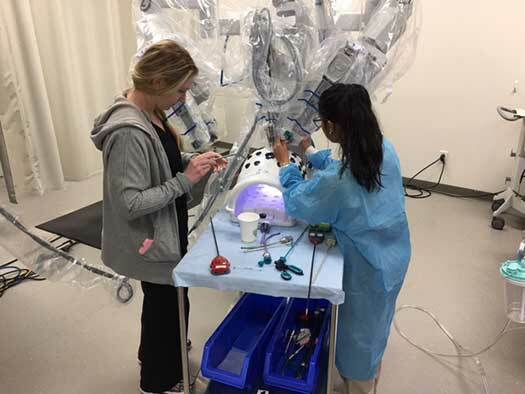 Our program provides training in minimally invasive surgery and in surgical applications including robotics. Our SA students become certified in Robotic Assistance for the da Vinci Surgical System before graduation. 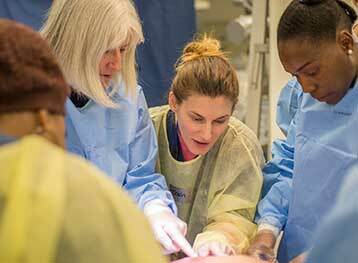 Surgical assistants with this training are in high demand. EVMS students take part in leadership training to help them advance and broaden their career options. Our surgical assisting students participate in the Institute for Healthcare Improvement’s leadership certificate program. Students graduate with skills that can serve them in medical education, surgical services management and professional leadership settings. 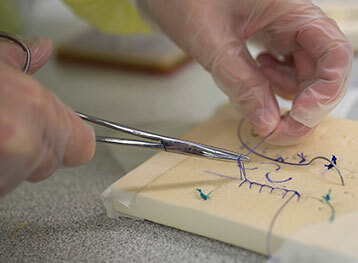 First-year students organize and conduct Suture Fest twice a year and help medical students prepare for surgical training exposure. 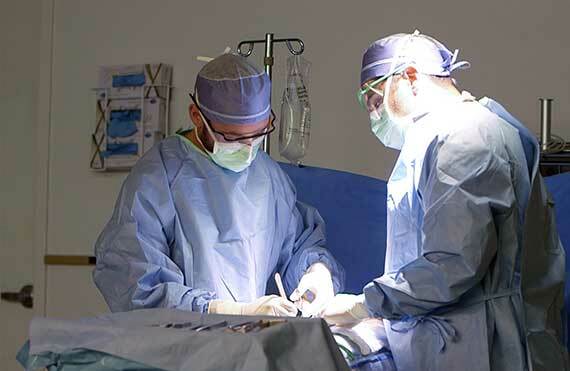 Our graduates enter the workforce with the same level of experience as junior surgical residents. Surgical assisting students learn the fundamentals of laparoscopic surgery, the same coursework required of surgical residents. EVMS requires students to complete 240 cases — 100 more than the number required by the accreditation body — but many students complete more than three times the required number of cases. Graduates from our program have the equivalent surgical competency and clinical knowledge expected of a junior surgical resident. 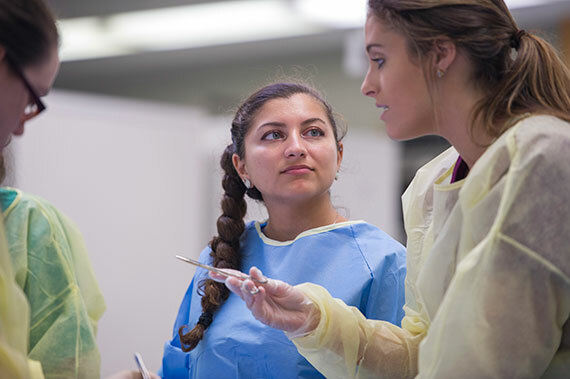 Ready to become a surgical assistant? Effective Jan. 1, 2018, the Bureau of Labor Statistics recognizes Surgical Assistant as a distinct profession, a decision that could positively impact working SAs. 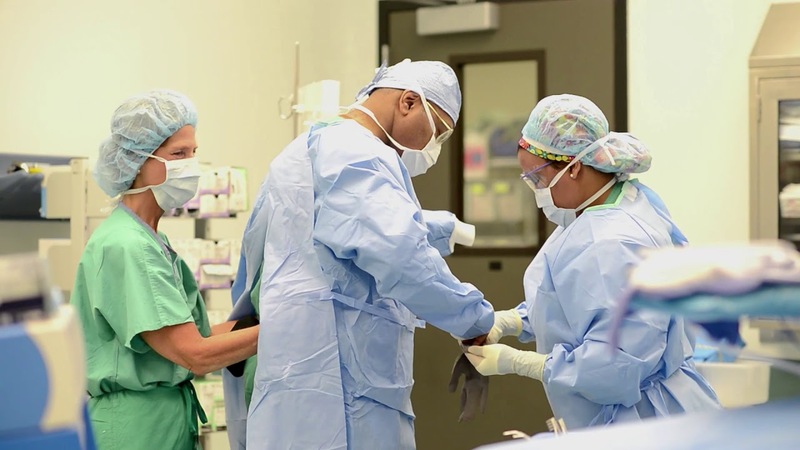 Our students are highly motivated problem solvers, who possess the capacity and critical thinking skills needed to handle high-stress situations and be strong leaders in an operating room setting. Hear alumna Kenita Jackson's story. 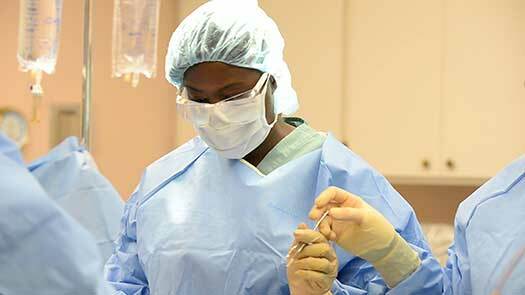 Looking to hire one of our Surgical Assisting students? Are you a health adviser seeking more information? Find out more.